Workshop Schedule ~ Mark Your Calendars! While meeting creative friends when traveling ~ whom have scheduled their Seminar years in advance and from traveling myself over the past 30 years to Seminars, Conventions and Classes and even life in general……I realize how important it is to have a plan or a schedule ahead of time. So this is what it is looking like so far for the Fall and Holiday Season 2018 (see below)…..the Workshop dates are scheduled and projects are being sketched out and worked on! 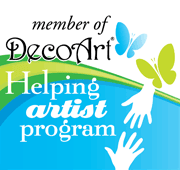 All Workshops listed are at the Tamaqua Community Art Center in Tamaqua Pa….mostly evenings with a few Saturdays too! Will you pencil a Workshop into your schedule? The Brush~in~Hand Studio is all about Acrylic Decorative Art ~ taking a project from start to finish ~ while learning painting skills to create paintings on your own…..a supply list is provided prior to class, Class Fee is $20.00, more information will follow. Classic Chalk Art was created for the folks whom enjoy Entertainment Art….’Chalk and Chew’ is all about Chalking (penciling) together and enjoying a sweet from a local bakery! Makes for a fun evening. You can read all about Chalk Art (here) and (here). Mixed Media Mania ~ new to the Art Center this year….paint, pencil, paper, glue, clay, and Fun! The idea for the first Mixed Media on October 18th is a wood block pumpkin with a sculpted mouse! We also have a Milk Paint Workshop on the schedule for November….along with learning techniques for furniture painting…..a Santa is in my thoughts! Our all day Colored Pencil Workshop is on the schedule for September 29th….we will create the next bentwood box in the Vintage Scale Series…..a Jack-O-Lantern. I am thinking 2 different versions of this….one with a hanging scale! On October 28…Learn to Paint Creative Canvas! This project will be a large gourd with a manila tag…..you won’t want to miss this one. Learn to Paint without the commitment….no supplies needed! Check back often to the Workshop Page (here) for project photos, flyers, and RSVP information! See you at the Art Center ….and yes, all patterns will be available! Are you local to Tamaqua PA? 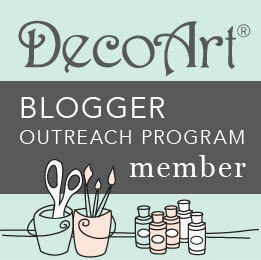 ….host your own Workshop with 5 or more friends…contact me for details, classicamyjoanne@gmail.com. I like the broom and mice. Thank you Paula…..see you in October! very blessed….power in the paintbrush to create friends!